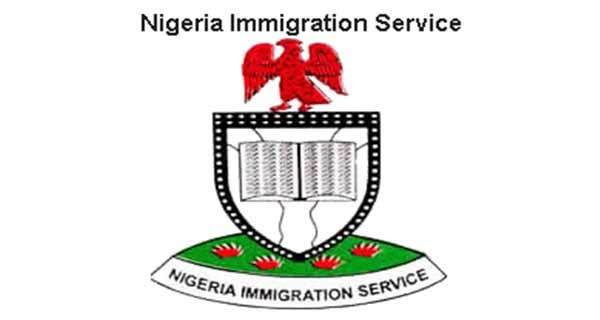 The Nigeria Immigration Service (NIS) has suspended the issuance of Biometric Visa-On-Arrival to foreigners arriving into the country indefinitely. Investigations by the News Agency of Nigeria (NAN) on Tuesday, 26th of June 2018 at the Murtala Muhammed International Airport, Lagos, revealed that the NIS was now issuing the “Ordinary Visa-On-Arrival’’ to visitors coming into the country. A reliable source told NAN that the biometric visa-on-arrival, which costs foreigners $110, was introduced on June 12 but was suspended a day later due to controversies concerning the charges. According to the source, the suspension of the new policy was approved by the Comptroller-General of the NIS, Mr Muhammed Babandede, to enable issues relating to the payments to be resolved. The source said: “It is not true that the NIS is collecting money from foreigners coming into the country for issuance of biometric visas. “The fees for the biometric visa-on-arrival is being collected by Online Integrated Services (OIS) and New Works, who are service providers appointed by the Ministry of Interior to collect the charges. “OIS collects $90, while New Works collects $20 for the issuance of the biometric visas. The payment can be made online before coming into Nigeria or with a credit card upon arrival. “However, there were complaints from people who have already paid to obtain visas before coming into Nigeria and were now also being required to pay for the biometric visa upon arrival. The source noted that countries such as the United States of America, the United Kingdom, China and South Africa were already issuing biometric visas to foreign visitors. He said what Nigeria was doing was simply to reciprocate the fees charged Nigerians visiting these countries, stressing that for instance, Kenya and Nigeria had a bi-lateral agreement to charge their citizens $25 dollars for visa on-arrival. According to the source, the only people exempted from visa charges are people carrying official and diplomatic passports from countries like China, Brazil, Venezuela, Morocco and South Africa, which have bilateral agreements with Nigeria. The source said the visa-on-arrival policy had improved the Ease of Doing Business in Nigeria, adding that it was now applicable to all countries of the world. “It is very good for business purposes. Instead of applying for visa from the embassy, a foreigner can send an application to the NIS attaching his valid passport, point of entry, purpose of visit and the certificate of incorporation of his business partners. “The person’s return ticket will also be attached and the application is processed and approved by the CG and a visa will be issued to him upon arrival at his point of entry, if he meets the requirements,’’ the source added. Birthday Gift: Equatorial Guinea Visa!